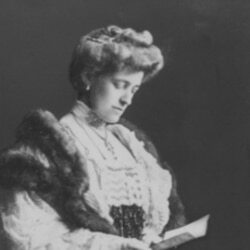 During her lifetime Edith Wharton published about fifty books on a number of subjects. PHOEBE ZIMMERMANN: I'm Phoebe Zimmermann. DOUG JOHNSON: And I'm Doug Johnson with the VOA Special English program PEOPLE IN AMERICA. Every week we tell about a person who was important in the history of the United States. Today, we tell about writer Edith Wharton. PHOEBE ZIMMERMANN: A critic once described American writer Edith Wharton as a "self-made man." She liked the comment and repeated it. Others said she was a product of New York City. But the New York she wrote about was different from the New York of those who came after her. Edith Wharton was born in New York City in eighteen sixty-two. New York then was several different cities. One New York was made up of people who worked for a living. The other was much smaller. It was made up of families who were so rich they did not need to work. Edith was born into the wealthy New York. But there was a "right" wealthy New York and a "wrong" wealthy New York. Among the rich there were those who had been given money by parents or grandparents. Then there were those who earned their own money, the newly rich. Edith's family was from the "right" New Yorkers, people who had "old" money. It was a group that did not want its way of living changed. It also was a group without many ideas of its own. It was from this group that Edith Wharton created herself. DOUG JOHNSON: Like many girls her age, Edith wrote stories. In one of her childhood stories, a woman apologizes for not having a completely clean house when another woman makes an unexpected visit. Edith's mother read the story. Her only comment was that one's house was always clean and ready for visitors. Edith's house always was. Edith spent much of her childhood in Europe. She was educated by special teachers and not at schools. If Edith's family feared anything, it was sharp social, cultural, and economic change. Yet these were the things Edith would see in her lifetime. The end of the Civil War in eighteen sixty-five marked the beginning of great changes in the United States. The country that had been mostly agricultural was becoming industrial. Businessmen and workers increasingly were gaining political and economic power. Edith Wharton saw these changes sooner than most people. And she rejected them. To her, the old America was a victim of the new. She did not like the new values of money replacing the old values of family. PHOEBE ZIMMERMANN: In eighteen eighty-five, she married Edward Wharton. He was her social equal. They lived together for twenty-eight years. But it was a marriage without much love. In nineteen thirteen, she sought to end the marriage. That she waited so long to do so, one critic said, was a sign of her ties to the idea of family and to tradition. 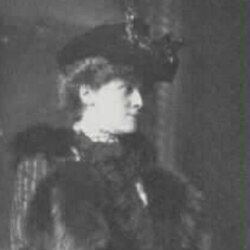 Some critics think that Edith Wharton began to write because she found the people of her social group so uninteresting. Others say she began when her husband became sick and she needed something to do. The fact is that Wharton thought of herself as a writer from the time she was a child. Writing gave her a sense of freedom from the restrictions of her social class. DOUG JOHNSON: Writing was just one of a series of things she did. And she did all of them well. She was interested in designing and caring for gardens. She designed her own house. She had an international social life and left a large collection of letters. She was the first woman to be honored with a gold medal from the American National Institute of Arts and Letters. In her lifetime she published about fifty books on a number of subjects. Many critics believe Edith Wharton should have written the story of her social group. To do this, however, she would have had to remove herself from the group to see it clearly. She could not do this, even intellectually. Her education and her traditions made it impossible. The subject of Edith Wharton's writing became the story of the young and innocent in a dishonest world. She did not make a connection between her work and her own life. What she had was the ability to speak plainly about emotions that, until then, had been hidden. She also was among the first American women writers to gain a sense of the world as an evil place. "Life is the saddest thing," she wrote, "next to death." PHOEBE ZIMMERMANN: To show that she could do more than just write stories, she wrote a book with Ogden Codman, “The Decoration of Houses.” It was very successful. About the same time, her poems and stories also began to be published in Scribner's Magazine. In eighteen ninety-nine her collection of stories, “The Greater Inclination,” appeared. It was an immediate success. When she was in London, she visited a bookstore. The store owner, who did not know who she was, handed her the book. He said to her, "This is what everyone in London is talking about now. “The House of Mirth” is the story of a young woman who lacks the money to continue her high social position. As in so many stories by Edith Wharton, the main character does not control what happens to her. She is a victim who is defeated by forces she does not fight to overcome. This idea is central to much of Edith Wharton's best writing. The old families of New York are in conflict with the newly rich families. The major people in the stories are trapped in a hopeless struggle with social forces more powerful than they. And they struggle against people whose beliefs and actions are not as moral as theirs. PHOEBE ZIMMERMANN: This is the situation in one of Wharton's most popular books, “Ethan Frome,” published in nineteen eleven. Unlike her other novels, it is set on a farm in the northeastern state of Massachusetts. It is the story of a man and woman whose lives are controlled, and finally destroyed, by custom. They are the victims of society. They die honorably instead of fighting back. If they were to reject custom, however, they would not be the people they are. And they would not mean as much to each other. 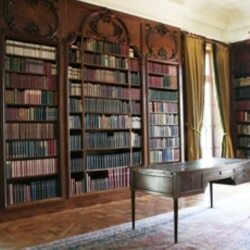 Edith Wharton's Library at The Mount. She designed the house in 1902. In nineteen thirteen, Wharton's marriage ended. It was the same year that she published another novel that was highly praised, “The Custom of the Country.” In it she discusses the effects of new wealth in the late nineteenth century on a beautiful young woman. DOUG JOHNSON: Most critics agree that most of Edith Wharton's writing after nineteen thirteen is not as good as before that time. It was as if she needed the difficulties of her marriage to write well. Much of her best work seems to have been written under the pressure of great personal crisis. After her marriage ended, her work was not as sharp as her earlier writing. In nineteen twenty, however, she produced “The Age of Innocence.” Many critics think this is her best novel. In it she deals with the lack of honesty that lies behind the apparent innocence of the New York social world. A man and woman see their lives ruined because they have duties they cannot escape. Edith Wharton received America's top writing award, the Pulitzer Prize, for “The Age of Innocence.” In nineteen ninety-three, the movie of “The Age of Innocence” created new interest in her work. PHOEBE ZIMMERMANN: In the later years of her life, Wharton gave more and more of her time to an important group of diplomats, artists, and thinkers. Among her friends was the American writer Henry James. She liked James as a man and as a writer. She often used her car and driver to take him on short trips. At one time, Henry James was hoping that his publisher would print a collection of his many novels and stories. Wharton knew of this wish. And she knew that the publisher thought he would lose money if he published such a collection. She wrote to the publisher. She agreed to secretly pay the publisher to print the collection of her friend's writings. DOUG JOHNSON: In nineteen thirty, the American National Institute of Arts and Letters gave Wharton a gold medal. She was the first woman to be so honored. Four years later she wrote the story of her life, “A Backward Glance.” Edith Wharton died in nineteen thirty-seven at one of the two homes she owned in France. PHOEBE ZIMMERMANN: This Special English program was written by Richard Thorman. It was produced by Lawan Davis. I'm Phoebe Zimmermann. DOUG JOHNSON: And I'm Doug Johnson. Join us again next week for another PEOPLE IN AMERICA program on the Voice of America.